With Fair Trade, the money you spend on day-to-day goods can improve an entire community's day-to-day lives. Visit BeFair.org to learn how you can help. Your purchases can help farming families in 70 countries earn fair wages, work in safe conditions, protect the environment and keep their kids in school. Buying Fair Trade is an easy way to support hard-working people who grow and sew the products we love. 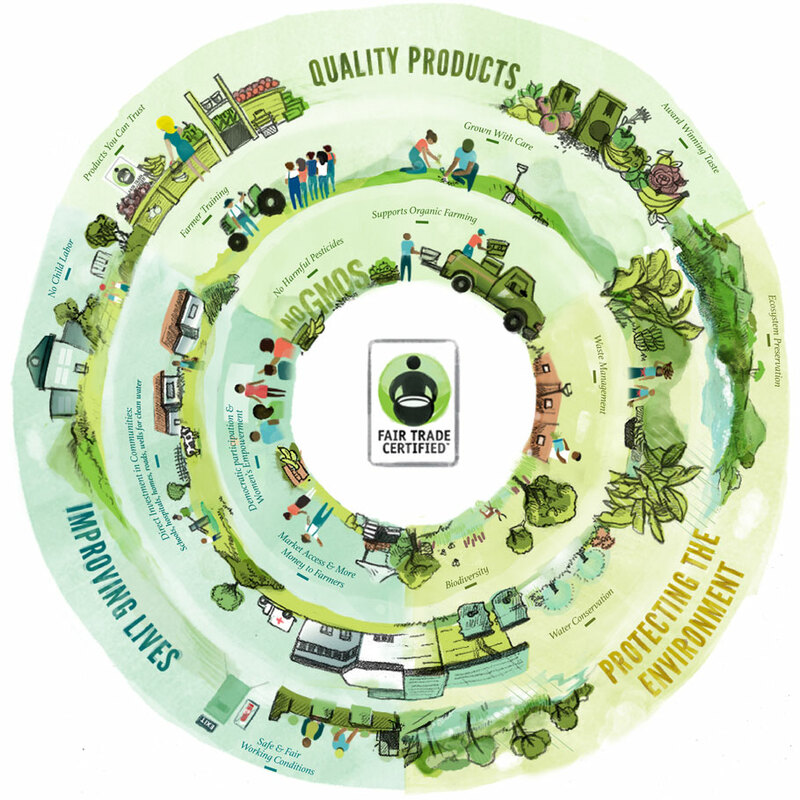 You'll find the Fair Trade Certified label on more than 11,000 products throughout the grocery store, from coffee, tea and chocolate to bananas, honey and even wine.